With all of the customer fury aimed at banks in the United States, especially since the Great Recession kicked into gear last year, you might well wonder what things are like elsewhere in North America and around the world. So I just thought I'd take any interested parties on a little international global banking tour -- no passport needed. You may decide that it's not so bad being a bank customer in America -- or, yeah, you may find yourself wishing that moving halfway around the world to have a better bank was a practical idea. South Africa: There's been a lot of tampering going on with ATMs, and so Absa Bank started rigging some of its machines with pepper spray. Try to rob its ATM, it figured, and the thief will get what's coming to them. This apparently was working out great until one of the machines misfired and sprayed three maintenance workers. Australia: Could it happen here? The National Bank of Australia recently decided to drop its overdraft fees. That's right -- they're gone -- and that's been causing rival Australian banks to slash their own overdraft charges. One of the NAB executives told an Australian paper, "The decision is final. There are no disclaimers. We will not reverse it, and importantly, we will not recoup the fee anywhere else." 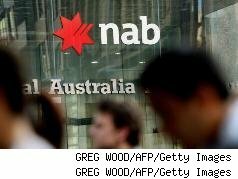 Abolishing overdraft fees is expected to wipe out $100 million in Australian dollars from the National Bank of Australia's annual income, although maybe it will make some of it back by attracting new customers.New Zealand: Most New Zealanders are still dealing with overdraft fees--and nobody's happy about it. The New Zealand Heraldreported today that "complaints against banks and their fees have doubled in number in the past year." However, the Bank of New Zealand recently agreed to no longer charge customers for overdraft fees. But its parent company is the Bank of Australia, so it's too early to tell if other competitors will wind up slashing their fees or not -- still, it seems probable. Mexico:The Bank of Mexico has also had it with fees, though it looks like a preemptive strike against coming government regulation. Whatever works. In any case, starting August 21, Bank of Mexico will no longer charge overdraft fees, and it will also stop charging fees when customers close accounts, cancel credit or debit cards, or stop using Internet banking services. United Arab Emirates: Not that all banks around the globe are slashing fees. They're going up for customers at Abu Dhabi Commercial Bank, although charges will be lowered for those who use fewer services and keep a minimum balance. India:A bank strike in India has meant that ATMs aren't being filled with cash, so customers are coming up dry. Yikes. Canada: Wal-Mart tried to start a bank in America and didn't quite make it, though with prepaid cards and other financial services, one could argue that it practically does have a bank. In any case, it is getting close to opening its own bank in Canada, reports The Wall Street Journal. England:The Co-Operative Bank has a video out on YouTube, which can be found here. It was voted "best financial services" by Which?, an English company that awards "the best of the best" to various businesses, and so 50 employees from Co-Operative Bank branches sang this song, thanking customers for voting for it. It's a contrived ad, of course, but still amusing. If the bank set out to prove that it has a sense of humor (and some talent), it succeeded. Geoff Williams writes a lot about banking for WalletPop. He is also the author of C.C. Pyle's Amazing Foot Race: The True Story of the 1928 Coast-to-Coast Run Across America (Rodale).